I was a latchkey kid back in the late 1980s. Long before cell phones and Skype. I don’t even think they had old-school nanny cams back then! My mom worked in an office where everyone knew us, so if I had a problem, I was able to get in touch with her pretty fast. Still, I imagine it had to be a little scary at times knowing her 12-year-old daughter was the only person in charge of her 7-year-old son for about two hours every day. Once I hit legal babysitting age, it was just me and him after school until I graduated. My son turned 10 this year. Just two years younger than I was when I became a latchkey kid. Still, I cannot imagine leaving him home alone in just two years. The idea freaks me out. I would be terrified! I’m not even a helicopter parent by a long shot! It seems that our children’s generation is staying home on their own more often than we were. The economy is still struggling. Households that have two parents typically can’t afford to keep one home. If you’re a single parent, chances are you’re working outside the home. I happen to have a job that lets me stay home. I don’t think I’m in the majority. Daycare prices are astronomical now. In my area, you can expect to pay close to $200 a week for full-time care, and that was three years ago. I have no idea what the current going rate is. So what do you do? How do you make sure your kids are safe when you’re not home? Fortunately, technology has made being a latchkey kid a little safer. (Note: I receive the Oco mentioned below in exchange for an honest review. The rest of this post is non-sponsored. All opinions are my own). Some of these tips are common sense and things you’ll remember from our own latchkey days. Others, well, they weren’t available to our parents! 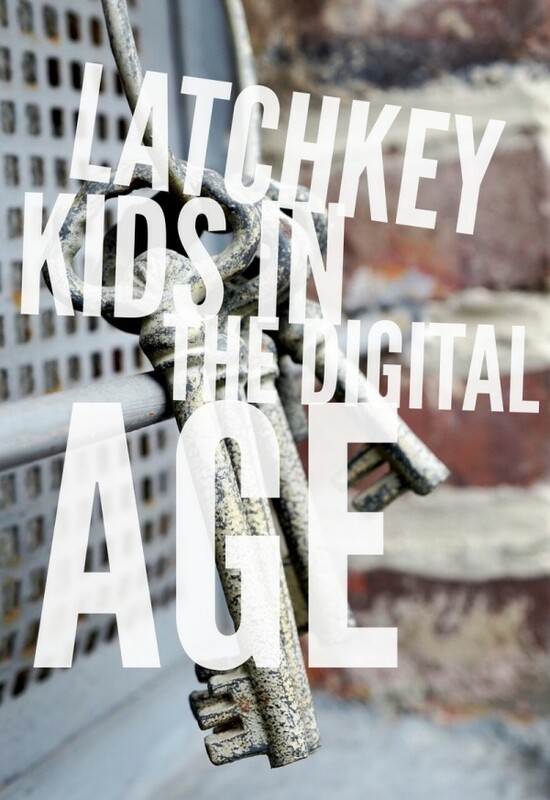 Check out my tips for keeping your latchkey kid safe! Have an easy plan: This is one of those common sense tips. Make a plan with your kids in case something goes wrong. Make it easy. Like two steps. Call 911 if their sister is choking, then call you. Call Aunt Dana if they get locked out of the house and you can’t be reached. Easy plans are a must, because complicated 10-step emergency plans are impossible to follow when your kid is panicking. Make a phone tree list: While you want your kids to call you if there is an emergency, sometimes you’re in a meeting and can’t be reached. If you don’t answer your phone, your kids need to know who is next on the list. If that person isn’t available, they need a third person. And a fourth. Honestly, I would put up to ten people on the list, just in case. Get a cheap cell phone that’s only used for emergencies and keep it somewhere that your kids can find it. Program the emergency numbers into the phone on speed dial to correspond with the list. Regular Skype or Face Time Check Ins: Thanks to programs like Skype and features like Face Time, we can now see our kids no matter where we are. If you have specific break times, tell your kids that you will be calling for a face-to-face at that time every day and expect to see them. Make sure they understand that if you don’t see them, you’re sending in the cavalry. 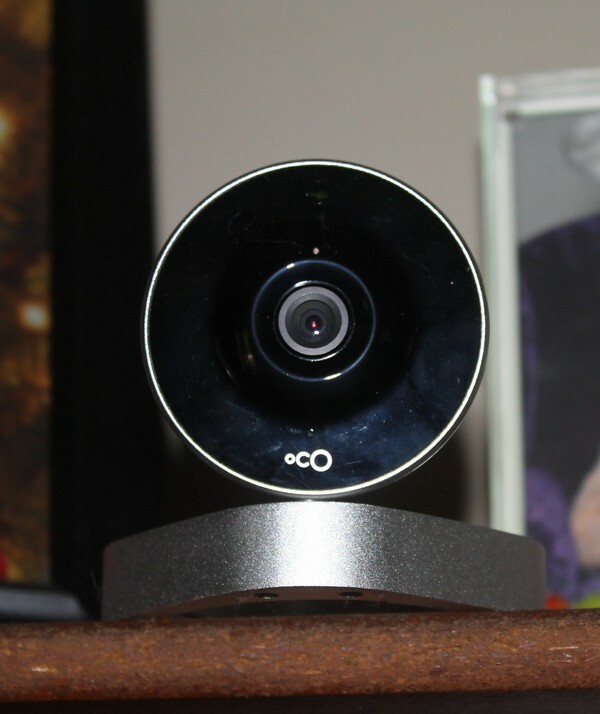 Check in on them with Oco: Set up an Oco camera (or a few) around your house to check in on your kids whenever you want. 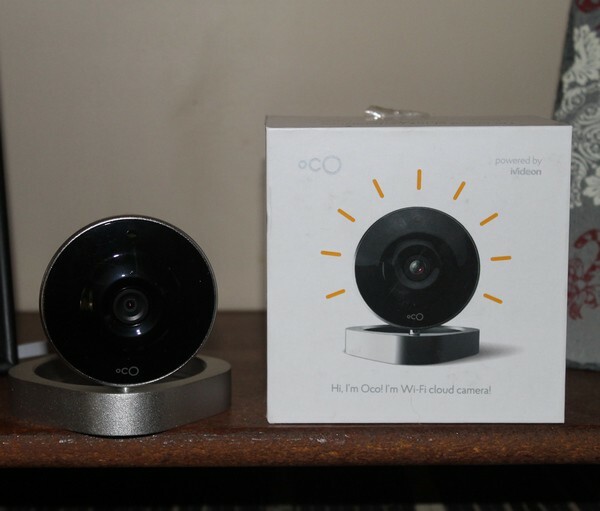 Oco is a cool little Wi-Fi camera that streams live video to the cloud. You can retrieve it through an app on your smart phone and watch it live. Obviously, if your kids are in the back yard and your Oco is in the living room, you won’t be able to see them, but it can at least give you peace of mind that the house is still standing! Once it’s set up, you can place it pretty much anywhere you want, as long as it can reach an outlet. You can even mount it on your wall. Then simply open up the app to check out what’s happening in your house! I have major anxiety disorder and often worry about my house when I’m not here. Since my mom lives with me, I usually don’t have to worry much because she’s almost always home. When we went both out of town for a family reunion for a whole afternoon, I got panicky. Having the Oco helps me look in and see that my house is fine, everything is still standing and no one broke in. It lets me leave my home in peace. That’s something amazing. For moms who have to leave their kids home alone, the benefit of having Oco there to show them that everything is okay is definitely worth the relatively low $149 price tag. Add in the fact that you get one year of free cloud recording, free smart notifications and free live HD streaming to your smartphone and it’s actually a pretty fantastic price point. Did I mention that Oco can see in the dark AND has two-way audio? Yep, you can talk your kids, your pets or even just the empty room! If you happen to catch your teenager throwing a party, you can shout “everyone out!” from three states away! 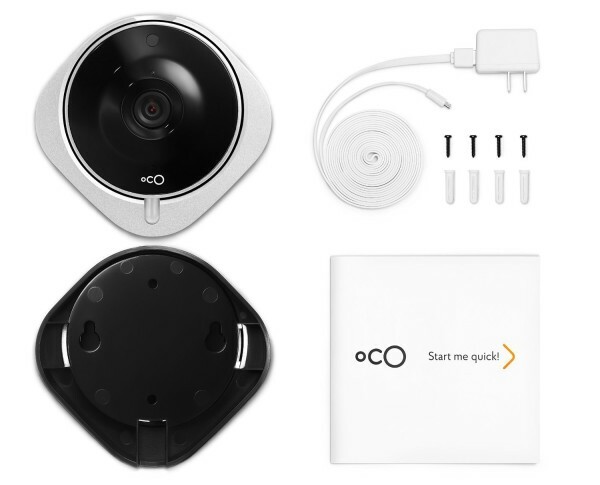 Buy Oco on Amazon for $149 and get free shipping. Need more than one? Get a two or three pack and save! Visit Oco’s website to see all the other great uses, including monitoring your small business, keeping an eye on your pets, checking in on elderly parents and more. Do you have latchkey kids? How do you make sure they stay safe when you’re not there?